Dubai: Etihad Airways said on Thursday it has reached agreements with Boeing and Airbus to restructure “a large portion of its previous orders” as the carrier implements a turnaround strategy following two consecutive years of losses. Under its renegotiated deals, Etihad will take delivery of five Airbus A350-1000s. 26 Airbus A321neos, and six Boeing 777s over the coming years. The Abu Dhabi-based airline did not disclose the values of those deals or the schedules for deliveries. It will also continue to take delivery of Boeing 787 Dreamliners, it said. 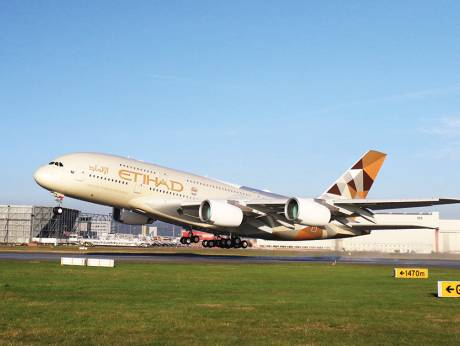 The discussions to tweak the orders were initiated “following a comprehensive strategic review,” according to Etihad. “The balance of the remaining orders will be defined at a later time through rescheduling, restructuring, or reduction,” a statement said. Etihad, which reported $1.52 billion in losses in 2017 and $1.95 billion in losses in 2016, is in the midst of restructuring to “transform” it business, though it has been relatively discreet about what changes it will make.